Despite being released publicly last August, Android Pie is still rolling out to non-Google smartphones. If you only just received the update, you’re in for a treat — and not just because Google names its software after desserts. There are dozens of new features to dive into and learn, including some that can only be unearthed by unlocking the developer options. In Android Pie, you can rotate an app window without awkwardly pulling down the notification shade and searching for the quick setting toggle. Just flip your device horizontally, and you’ll see a tiny rotation icon pop up next to the Recent apps button. Tap it to turn your app horizontal, and then switch the other way and tap the same icon to rotate it back to vertical. It’s so much more user-friendly. We could all use a little more battery life on our devices, especially those of us who don’t have the cash to drop on fancy new phones with more milliampere hours. 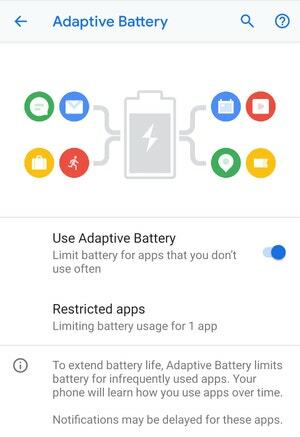 Android Pie’s Adaptive Battery Feature helps manage your device’s power management. You can check to see if this feature is active under Settings > Battery > Adaptive Battery. 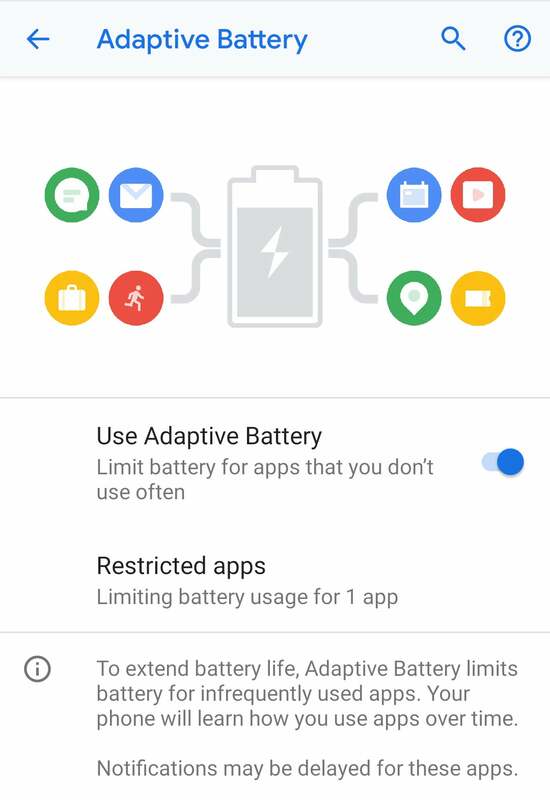 If you’re using Adaptive Battery, the system will learn which apps to prioritise for use and which ones can remain dormant. Or if there’s an app running rampant in the background, the system will ask you if you want to prevent it from doing so ever again. Android will also preload apps you frequently use so they don’t hog your system’s resources when you fire them up. You can learn more about how the Adaptive Battery Feature works in an interview with the folks who built it at Ars Technica. Admittedly, I was a little annoyed with this feature at first, but I quickly realised it’s worth using for my sanity. Android notifications can get overwhelming, especially as those icons clog the status bar and increase in number throughout the day. A handy new ability in Android 9 makes a note of the notifications you immediately dismiss and then asks if you want to stop the madness. 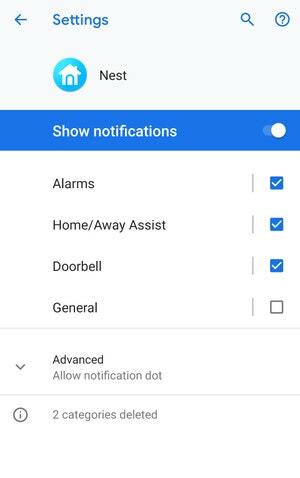 Or if you’d rather not wait for it to catch on, you can manually control which notifications pop up at you inside the Settings panel. 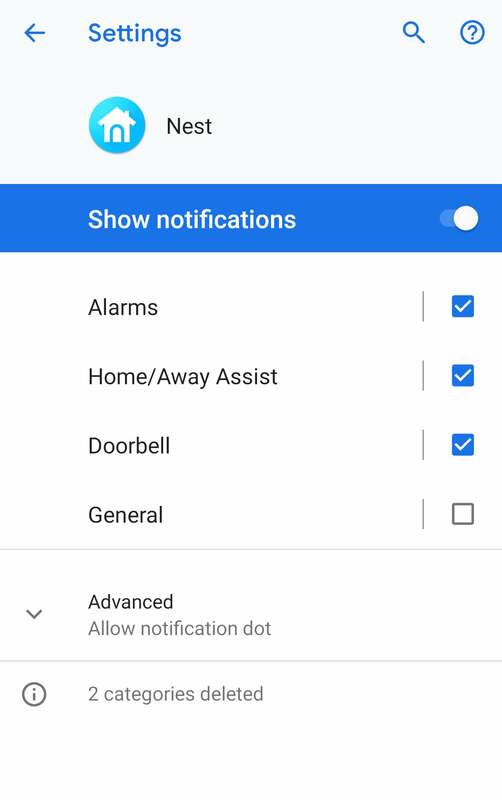 I use this feature with my Nest app to cut down on the number of notifications I receive throughout the day. I no longer see general alerts, such as when the front door unlocks or if the cameras sense motion. You can do the same for any app you have installed on your device. 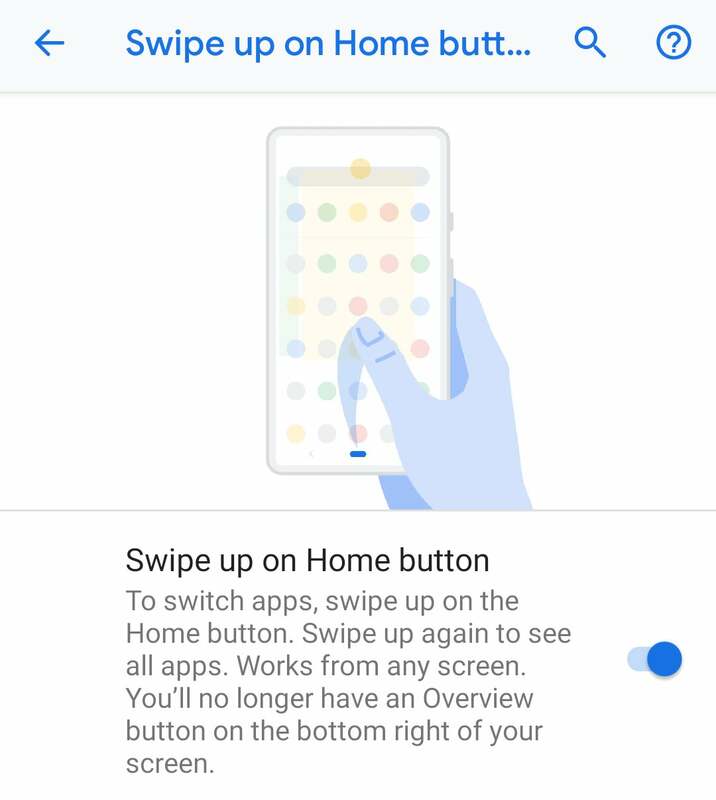 There’s been some hesitation in the Android community about Pie’s new swipe-gesture navigation schematic, including the way the Recent apps screen has been revamped to scroll from left to right rather than up and down. But once you experience the usefulness of the new method, you might not want to go back to the old three-button way. From the System settings screen, tap on Gesture, and then toggle on the option to “Swipe up on the Home button”. This will remove the Recent apps shortcut and replace the navigation dock with a button that looks like a peppermint Tic-Tac. Swipe up from there to see recent apps, and then swipe up again for the app drawer. Alternatively, you can swipe left on the navigation bar to sift through apps, or swipe up in one quick motion to quick-draw the app drawer. It’s a handy trick for larger phone screens. 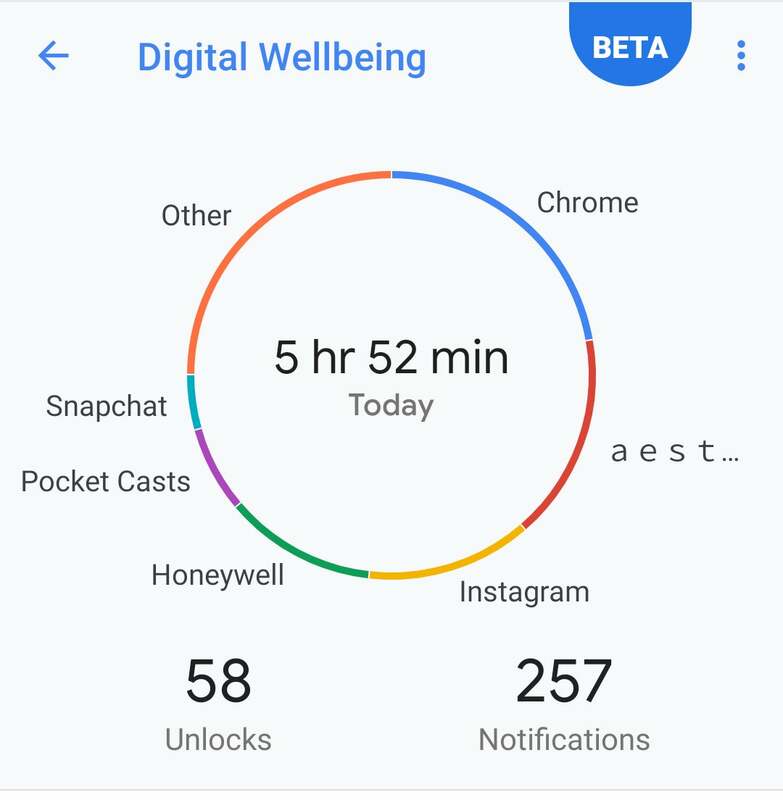 Google lauded its Digital Wellbeing feature at its developer’s conference earlier this year, but it isn’t yet a part of the Android Pie update. According to The Verge, it won’t be officially released until spring. You’ll have to download the app from the Play Store and, since it’s currently in Beta, sign up for access. But it offers a wealth of helpful features if you’re concerned about your smartphone addiction. 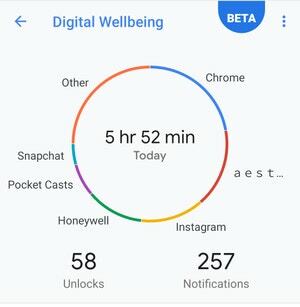 Once activated from inside the Settings panel, Digital Wellbeing continuously aggregates data about your usage habits, including how frequently you use different apps, how many notifications you receive throughout the day, and how often you check your phone. The results can be harrowing. If you’re feeling guilty, you can turn on daily app timers to set limits for how much time you use specific apps. There’s also a Wind Down feature, which reminds you to shut off at night and sets a schedule to fade your screen to grayscale before bed and right after you wake up. 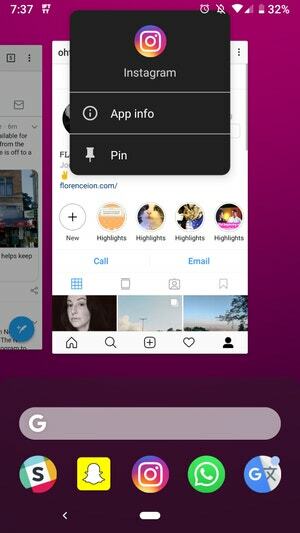 Screen pinning was initially introduced in Android Lollipop, but Pie now offers a better way to lock your device’s screen to one app. In the Settings menu, under Security & location, tap Advanced for more settings, and then select “Screen pinning”. Once selected, you’ll see a “Pin” feature pop up when you tap on the icon in the Recent apps screen. To unpin an app, touch and hold the back and home buttons. 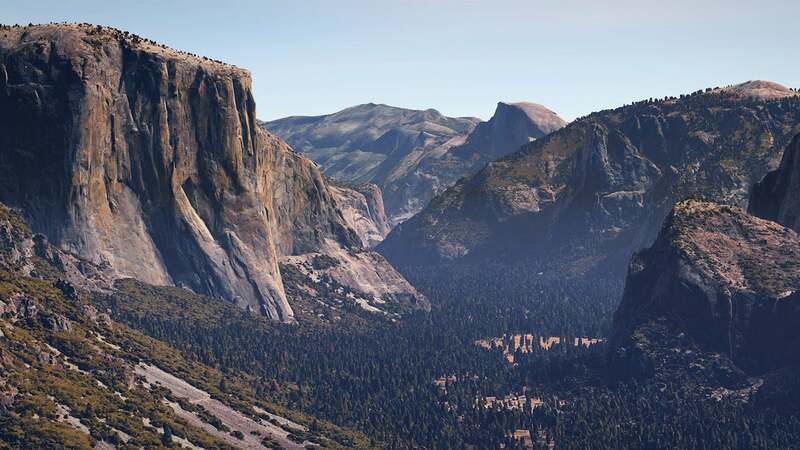 Need to share images or text between apps? 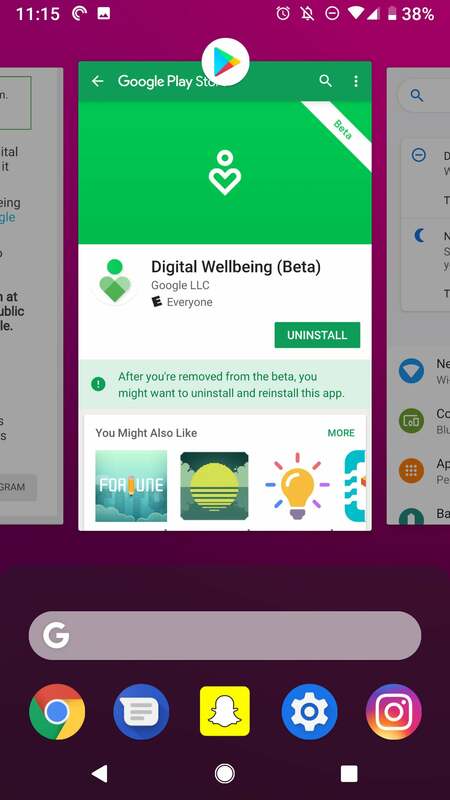 This was a chore in previous versions of Android, but with Pie’s new Recent apps screen, you can now select text or share images from within the app switcher. Press and hold on the area you want to copy or perform an action with and the interface will respond accordingly. 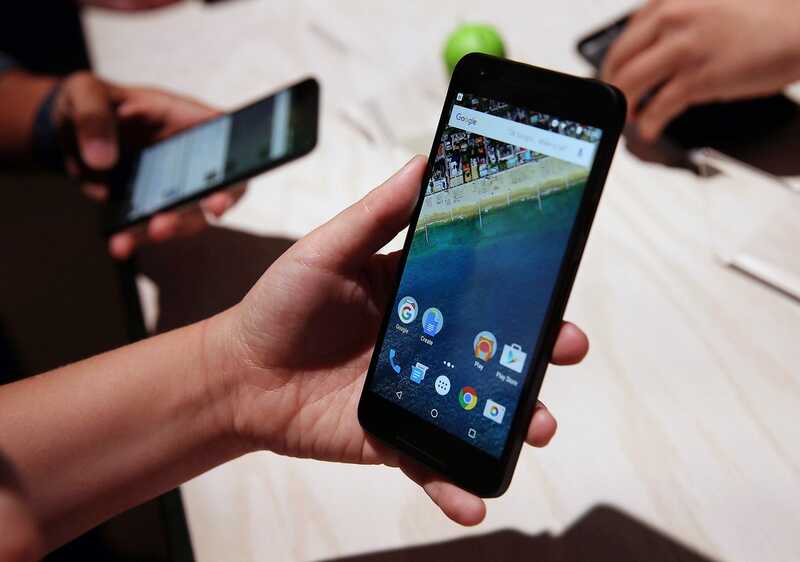 Android Police has a great primer on how it works. This feature was initially enabled in Google’s first-generation Pixel phones, though it was never turned on. Now that it’s here, you might find yourself quoting what you’re reading more frequently than before. Android Pie no longer defaults to the ringer when you press the volume rocker up or down. Instead, you’re adjusting your device’s media volume, which makes more sense from a user-experience standpoint. You can also prevent ringing in quiet environments by pressing the volume up and power buttons at the same time — no need to unlock the screen whatsoever. Android’s transitions weren’t always something to get excited about, but Pie adds new dynamic interface elements to spruce up the operating system. Menu screens now slide up from the bottom of the screen and have a bit of a bounce effect as they transition in and out. It’s a minor feature-add, but if you’re not feeling the new animations or they’re slowing down the system, you can get rid of them in the Accessibility settings. Tap on the toggle to “Remove animations”, and they’re gone. Note that this will turn off animations in some other apps, too. I’m never as annoyed as when I’m on the trail and my phone continually unlocks in my pocket. 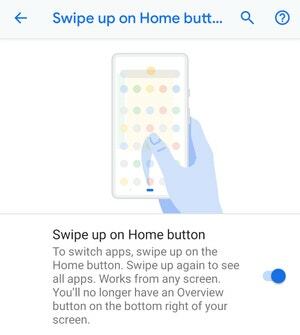 Android Pie offers a setting called Lockdown, which effectively locks up your phone so that only a PIN or a pattern will reveal the Home screen. This feature also turns off Smart Lock and hides notifications from the Lock Screen, in case you’re worried about passersby peeking over on your conversations. To enlist this ability, go to Settings > Security & location > Lock screen preferences, and toggle on “Show lockdown option”. You can then access this ability by long-pressing the power button and then tapping the Lockdown option. You’ll see an empty lock screen to indicate the interface is properly locked up. Once you unlock it, however, you’ll have to perform this routine all over again to secure it back up. 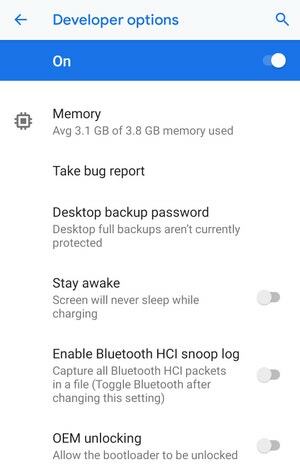 Seasoned Android users know that if you dig deep into the Developer options within the settings panel, you can find some real gems. Under Settings, tap on System, About phone, and then tap on the Build Number at the bottom of the screen seven times. A new Developer options setting will appear in the Settings panel. Tap the option to unearth a whole new list of features. Automatically turn on Bluetooth while driving: Scroll down to tap on the Feature flags option. Toggle on the option “settings_bluetooth_while_driving”. Every time your phone senses you’re driving somewhere, it will automatically turn on Bluetooth to connect to your car’s stereo system. Enable Night mode: Android Pie offers a dark theme right off the bat in this year’s software update, but there’s also a Night mode that you can enable that forces third-party apps to implement their native night themes. In the Developer options, scroll down to Night mode to select whether you want it on, off, or to only turn on based on the time of day. I’d be remiss if I didn’t tell you about Android Pie’s new emoji. The software update includes Google’s Emoji 11.0, in addition to a few makeovers of some existing characters. The Pistol is now depicted as a toy water gun, and the Turtle looks a lot less aloof. Some of the new emoji characters include red- and silver-headed faces, as well as faces for when you’re feeling hot or cold (so you don’t have to combine emoji to let people know about the weather). The Raccoon and the Cupcake also see some representation in Android 9’s emoji set, and there is even a Superhero and Supervillain emoji. Emojipedia has a fantastic breakdown of which emoji to look for in the latest software update. The only caveat is that not everyone with Android 9 has the new characters — I don’t have the updated Hugging Face, for instance. The new characters will likely come through in a future update. Sleepyheads, you can quickly check on your alarms (or access the stopwatch) with a new shortcut in Android Pie. Swipe down the notification shade once, and then tap on the clock, now located in the upper left-hand corner of the interface. To check on your next alarm, just swipe down twice from the top, and it’s located right above the screen brightness slider. I like to spill the tea with my friends, but I don’t always want to send them a screenshot of my entire screen. Android 9 now offers quick editing options for freshly-snapped screenshots. The notification will stay on display for a second with shortcuts to share, edit or delete your screenshot. If you tap on the second option, you’ll go to a screen where you can crop, highlight or mark up your screenshot. This is so much more convenient than dealing with a third-party image editing app or tapping around to get to Android’s built-in image editor. 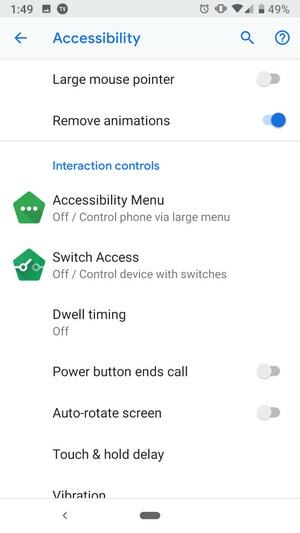 In Android 8.1, you could only pair up to two Bluetooth audio devices at a time. Android 9 ups that count to five. As Android Police points out, however, there’s no simultaneous playback, so don’t even think about starting a block party. 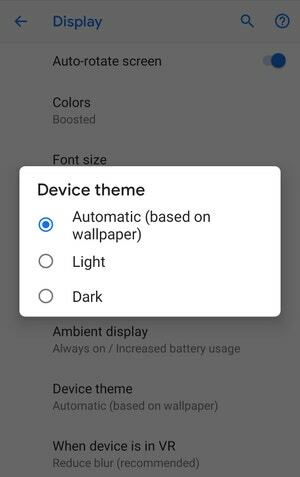 Some people prefer a dark interface, which is why Android Pie has added an option for automatic light and dark themes on the Pixel Launcher. 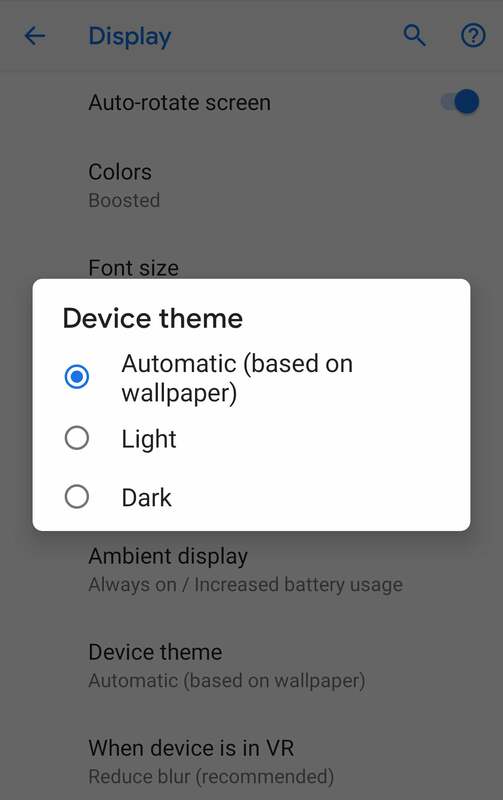 You can choose whether your device is always in light or dark mode, or whether it should adapt its colour schematic from your wallpaper. This particular feature varies from the Night theme mentioned in the Developer options, as it doesn’t extend past the launcher. 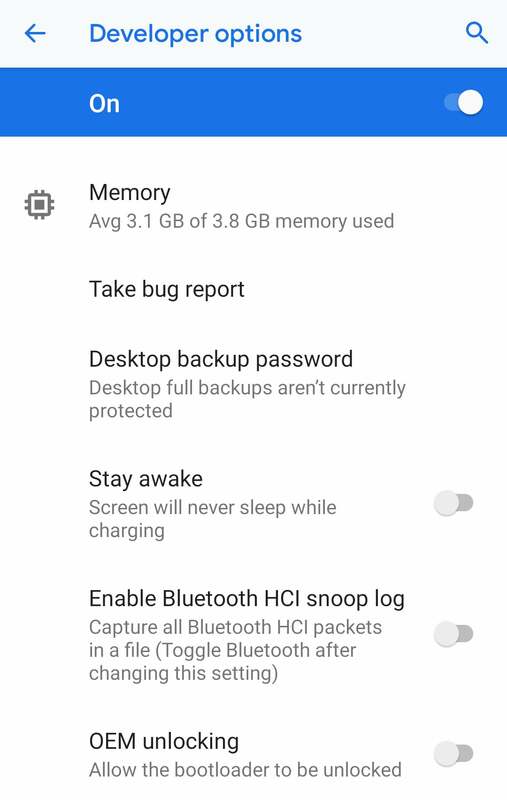 If selected, the dark theme will only apply to the Home screen, quick settings panel, Google Feed page, the app drawer, and the power menu and volume level popups. You don’t have to worry about data overages with Android 9. There’s a new feature that automatically turns off your Wi-Fi hotspot if there are no devices actively tethered. In your Wi-Fi hotspot preferences, select the option to “Turn off hotspot automatically”. One feature that you can’t use right now is Slices, which is unfortunate considering this is Android Pie and, well, it fits in perfectly with the name. In all seriousness, it’s a bummer we’re missing Slices because they’re meant to help you get things done faster without having to switch between apps. Slices allow apps to surface the essential part of their abilities into search, like typing “Yelp” and getting the reviews you need without having to open the app. That’s slated for release later this spring, according to Popular Science. Still waiting for Nokia 6.1 update, hoping its going to solve the issues. i just bought one, waiting for postage :( what's the issues people are having? 2) Major lag with the camera, sometimes can take a minute before the camera is usable, or it will crash saying unable to connect to camera, or when you think its ready you take a photo and it will look like it did but the screen will freeze for a while and then will take a photo of where the phone is pointing at the time it starts responding again. 3) Occasionally when either making a call or receiving one, there will be no audio. A reboot solves the issues for a while, id assume if i was to reboot it every night or two i wouldn't have any of those problems. A non software issue is the camera flash and fingerprint reader could have been located in a better place, and it really could have done with an extra gig of ram and more than 32g of storage. a) Don't seem to be able to have their name changed (so the device is known to google as "HMD Global Nokia 6.1" which is an issue if you have 2 of them you wouldn't know which one its referring to. c) i actually prefer the look of the glaxay phones skin, i had to install Microsofts launcher (ive tried like 6 of them and its the only one i liked) to replace the stock one which was pretty paltry. Maybe Pie will fix that and i can get rid of the MS Launcher to reclaim some memory, who knows. Sooo is Virginia one of Flo's aliases or is this article a copy/paste job? Unfortunately for Samsung users the very cool, fluid Gestures from default Pie (like I had on my Pixel XL) were replaced by Samsung's inferior full screen gestures that also interfere with Android Pay. It was the one feature I missed when I switched to the Note 9 but of course they had to put their stamp on Pie.